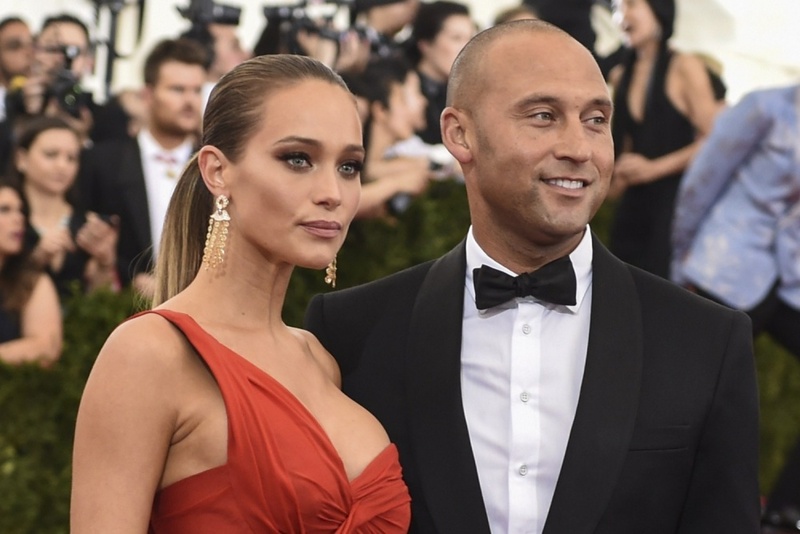 Congrats are in order for Derek Jeter and his wife Hannah Davis! The beautiful 26 year old bombshell announced her pregnancy in an essay last week for The Players Tribune. “Pregnant with our first child, Derek and I are looking forward to the future.” Hannah revealed. The couple, who married last year in Napa Valley, California, are expecting a baby girl, and Hannah also hinted that she is due in May of 2017. The stunning model also revealed that she posed for her Sports Illustrated Swimsuit Issue photoshoot in Mexico when she was already pregnant (although she did not know at the time), which you can not tell from her teeny bikini she was wearing! Hannah also revealed that announcing her pregnancy wasn't really something that she planned, but something that had to happen. She confided that she kept her pregnancy a secret for as long as she could,but with all the upcoming press for her Sports Illustrated Swimsuit Issue, she knew she was going to be in the public eye for an entire week, at least. “So I hid it as long as I could and then all of a sudden, I thought, "Okay, well I have a week's worth of Sports Illustrated press to do. What am I supposed to do? Do I just walk out? Do I not address it? I mean, do I wear baggy clothes all week?"' she revealed. We have to admit, we are super glad that Miss Hannah decided to announce her pregnancy! We can't wait to see what is sure to be one beautiful baby here in a few months!